THE oldest surviving standard gauge Hunslet 0-6-0ST – No. 469 Hastings of 1888 – will have its restoration completed at the workshops of the Elsecar Heritage Railway (EHR), near Barnsley. 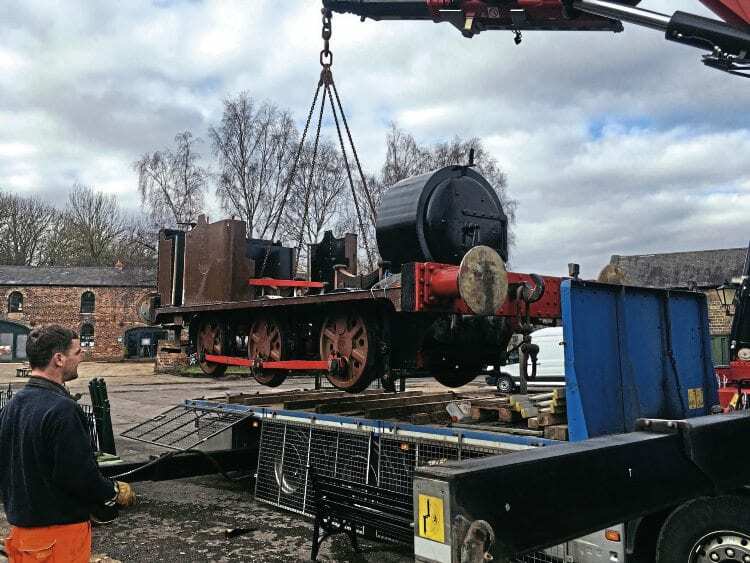 The former contractors’ engine, which for many years was a resident at the Kent & East Sussex Railway, arrived at Elsecar on March 7 following its acquisition by Mike Hart last November. bottom-end restoration at Mangapps Railway Museum, including the manufacture of a new firebox. The boiler is currently being rebuilt at the North Norfolk Railway, arriving at Weybourne shortly before Christmas. The new firebox has already been fitted and staying work is underway. It is hoped the boiler can be reunited with the frames later this year. Hastings is an early Hunslet example of a typical contractors’ loco design, having gone new to Messrs T A Walker for use on the construction of the Manchester Ship Canal, and originally named Liverpool.